Being in debt can feel a whole lot like being in jail as it can have an effect on almost every aspect of your life. You could wake up dreading every day or wishing that you had not committed the crime of creating so much debt. This can be bad if you’re single and even worse if you have a growing family. 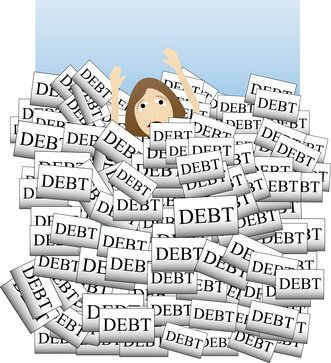 So what can you do to dig yourself out of that pit of debt? Here is an action plan that could help. If you’re over your head in debt, the first thing that you need to do is stop using those credit cards. In fact, you should shred all of them but one and you might freeze it in a tub of ice. It would then be available to cover a financial emergency but not so easy to access that you would be tempted to use it for some impulse purchase. If you can learn why it is that you got into debt, this can help you find the right ways to get out. Sit down and determine what you owe and how much you’re spending. This should help you determine where you could trim your spending in some areas to get the money that you need to repay your debts. If you meet with a financial counselor, he or she will assess your situation and give you advice that would help you get out of debt. He or she would even help you develop a budget if necessary so that you would have extra money to pay down your debts. If you believe you will have to skip some payments, call your creditors. Ask for more time. If you make that call before missing any payments, your lenders are likely to be willing to work with you. If you have multiple credit cards, you need to work on paying off the one that has the highest interest rate first. Make a goal to pay a specific amount towards that credit card debt each month, while still making the minimum payments on your other cards or loans. When you get that high-interest debt paid off, you will then have extra money you can apply to the debt with the next highest interest rate. In time, you should be able to pay off all your debts and save a lot of money in interest charges. Make sure you pay your credit card statements a few days before their due dates. In fact if possible, mail your payment at least a week before your bill is due. This is very important. Credit card companies generally post payments to your accounts by a certain time of day or on your due date. If your payment is not posted by then, they will charge a late fee. This means it’s important that you mail your credit card payments early so they will be posted on time. If you make a payment over the Internet or by phone, be sure to ask when it will be posted to your account. Late payments will not only cost you money, they will hurt your credit score. In fact, some experts believe that a late payment will lower your credit score by as many as 60 points. There is probably one of these agencies near where you live. If not, it’s easy to find one on the Internet. Just make sure that it’s a legitimate non-profit and that its fees are reasonable. When you go to one of these agencies or companies you will be assigned a counselor who will help you develop a budget and, if appropriate, a debt management plan. He or she will also work with your lenders to get any fees waived and your interest rates reduced. In most cases if you stick to your debt management plan, you should be debt-free in four or five years. Many credit unions, colleges and universities also offer these services so be sure to check this out. 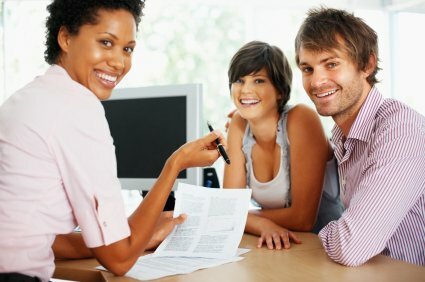 How can you choose a good credit counseling service. This video offers a 7-step program that could help. It is just not possible to get out of debt quickly or repair a bad credit report. Be sure to avoid any debt settlement companies that require upfront fees or “voluntary contributions.” Be especially wary about any of those companies that say they can make your debts go away. Also make sure to stay away from any company that tells you to stop communicating with your creditors or that requires credit card information or other personal information before sending you information. There are people who believe that when their debts become too difficult to manage that bankruptcy is their only option. However, there are actually several others. If you are considering filing for bankruptcy, talk with a financial counselor or explore other options such as a debt consolidation loan or debt settlement. Bankruptcy should be absolutely your last resort as it will have long-term consequences and may not even provide you with 100% debt relief. For example, a chapter 7 bankruptcy won’t get rid of child support, alimony, student loan debts or debts obtained through fraud. It can also not do anything about secured debts – or debts where you were required to provide collateral – including mortgages and auto loans.